Annie Tarrant uncovers the terrifying secrets of her family's past which link her to the Candyman in a way she would never dare imagine. Carelessly repeating his name five times, The Candyman makes a horrifying appearance, wreaking mayhem and brutal murder in his wake. 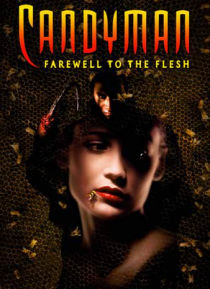 Will Anne survive the evil return of the Candyman?